Again, pasting from the old blog. “Khairey” is the Pashto equivalent of the English term “curses” or “evil wishes.” But what distinguishes khairey from the English curses is that khairey are common in the Pashtun culture and are usually called upon by close family members and people we love most, such as our mothers. Those who issue khairey are almost always women–and interestingly, especially mothers, which is witness to the fact that they are not meant to be taken seriously and are rather harmless. According to my knowledge, there is no research on the significane and use of khairey in the Pashto language and in the Pashtun culture, so I can’t provide any references yet on this phenomenon, BUT I do hope to write about it in a matter of some time so as to provide a more detailed description of what these are, why we use them, why they are so common, why mostly (if not only) women use them, and so on. I have read some literature on the exact same phenomenon in Egypt, which one can read about in an article called “Impoliteness Formulae: The Cognate Curse in Egyptian Arabic,” but these are linguistically different from the Pashto ones, since they are often formulated such that they reflect the situation in which they are being used and they rhyme. In both languages, a reference to God (Allah, Khwdey/Khuda) is made so as, I believe, to make the curse appear more forceful. Meanwhile, however, I’d like to list some of the most common ones, or according to what some Pashtuns on Twitter hear a lot, so as to give you an idea of how they go. Please remember not to declare them “bad” or “horrible” or “ignorant”: they are more than just “curses.” I’ll eventually explain how, but for now, note how much they tell you about the culture and the society, or what the society considers good and bad, appropriate inappropriate — or, most generally, how human interaction works. Anyone interested in the use of khairey or similar abuses, insults, curses in other languages and cultures may find David Parkin’s “The Creativity of Abuse” an important read. 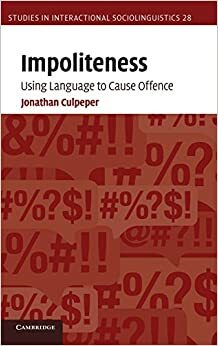 The book Impoliteness: Using Language to Cause Offence (Studies in Interactional Sociolinguistics) by Jonathan Culpeper is also worth a read on the subject. Now for some Pashto curses, insults, abuses! Reminder: most of these are issued by mothers to their children (quite frequently daughters). Often, the word dushman/dukhman is added at the end of the curse–so that the curse proves ineffective, but it’s sometimes whispered so that the message is still conveyed. P.S. Guys, this list doesn’t include kanzal (curse words)! Pukhto kanzal are too vulgar for me to discuss them publicly. Any of them. But thanks for suggesting some of those, too 🙂 The following includes those from the comments, too. I look forward to adding more as others suggest them. P.S. A lot of these are not translated by me but by others, either in their comments below or on Twitter. I have been relying non-stop on Khushal Khan (from Twitter) in particular to translate some of them. – Zwani marga shay, lag oora waghaga! May you die young hurry up and kneed the dough! – Khwdey de pa tandar owaha! May the thunder strike you dead! – Khwdey de pa laaso khpo raatola ka! May you be deprived of all your limbs! – Daa tor makh de wrak sha! Get your ugly dark (“black”) face out of here! Or Get lost! May you suffer the loss of all the men in your family/household! – Khwdey de jaaru ka! OR Jaaru she! May you be utterly annihilated! – Khwar au zar shay! May be destroyed beyond recognition into the abyss of oblivion! Die without leaving a son. May you be devoured by dogs and cut into pieces. – Alaal she / Khwdey de alaal/alaala ka! – Khwdey de baikh ubasa! – Toray khaoray de pa sar! Black earth on your head! – Khwdey de pa sharmuno o-sharmawa! May God extremely embarrass/humiliate you! – Khwdey de zaan ta hairaan ka! May God dumbfound you with despair! May you have no sons! May epidemic come for you (people). – Pa Golow suray shay. May you be riddled by bullets. – Pa Zaan akhta shay. – Toray golay da ookhra. May you be eaten by black bullets. – Da zmakay khurdaan shay. – Khay wrazay na pa sung ter shay or Khay wrazay makh oomaaksay. May you never see days of happiness. – Pa makh ta tora bala sha. Wishing you very bad luck. May you not return safe. – Raaghbarg ma shay / Khudai day raaghbarg ma ka. May you not return safely. – Pa bum [bomb] suray she! May you be hit by a bomb! – Zama da sara sadaqa she! May you be utterly destroyed! – Balaa tora dar passay! May black disaster pursue you! – Dere qrrate ma kawa! – Sa chingee darpake shawi! – Zaan de washarmawo! / Sharmedaley! You just humiliated yourself! Shame on you! / Humiliated! – Jaam botal ke loye shaway ye! This entry was posted in funny, Pashto, Pashtuns, society and tagged Pashtun culture. Bookmark the permalink. 😀 Glad you enjoyed this, Fatim! Hey I loved it. I want to learn more pashto. Can you help me please? Thank you. I’m happy to recommend sources, sure. Love love love your blog! Please keep it up! You make me learn so much about my own culture. My mother says some of those words all the time, i never knew what it meant but now im going to fire back haha. LOL! Thank you, Madina! Glad the blog’s useful to you! Sure! Send me a link to the song, and I’ll try to translate it. Khuday khu di nimgari nim akhwa ma ka. Just wanted to say thanks for the great article Orbala, I’m a Punjabi Pakistani born and bred in the UK, with an appreciation for the Pashto language, and I’ve been relying on this article for a few years as a source for Pashto insults I can use with friends, haha. You wouldn’t happen to have a Facebook by any chance, would you? I’ve spent the last year or so building up a Pashto playlist, and it would be cool to get a translation for one or two of them whenever you had the time. Thanks for reading, Hashim! I’m glad this has been helpful to you for your friends, hahaaaa! Orbala Could you please write an article on Panjabi ;Curses; I have my Panjabi friends they seldom abuse each other but it,s too disgusting. No. I wrote about Pashtuns and Pashto because that’s my language and that’s what I’m familiar with.